How can I faster checkout? As a new customer, you do not need an account to checkout and you save time now. However, if you Join us or sign in now you will save time later to track your future orders, checkout faster, and sync your favorites. Just enter your email and we will send you a magic link that will sign you in instantly. How can I check that? – Open Google Chrome and enter our website URL address. If you see the “secure” badge, you’re fine. That means our website runs on HTTPS, and all data that our website sends to the server and back is encrypted, i.e secure. You’re fine. – If you see http:// (without “s”) in our site address and do not see the “secure” badge — you are affected. Note: Reaching Out site does not access and store your credit card information. What is Reaching Out Arts and Crafts? The Reaching Out is a social enterprise, training and employing persons with disabilities. Our artisans create beautiful gifts of high quality from tea ware patterned after that used by the Imperial family in Hue to elegant table ware and bedspreads of colourful silks. Our silver jewellery is designed in-house by our staff and made right on the premises. Customers are invited to visit the workshop which is right behind the retail store to watch how their purchases have been made. Our staff are willing to answer your questions and of course can tell you the details of the processes by which your gifts are crafted. 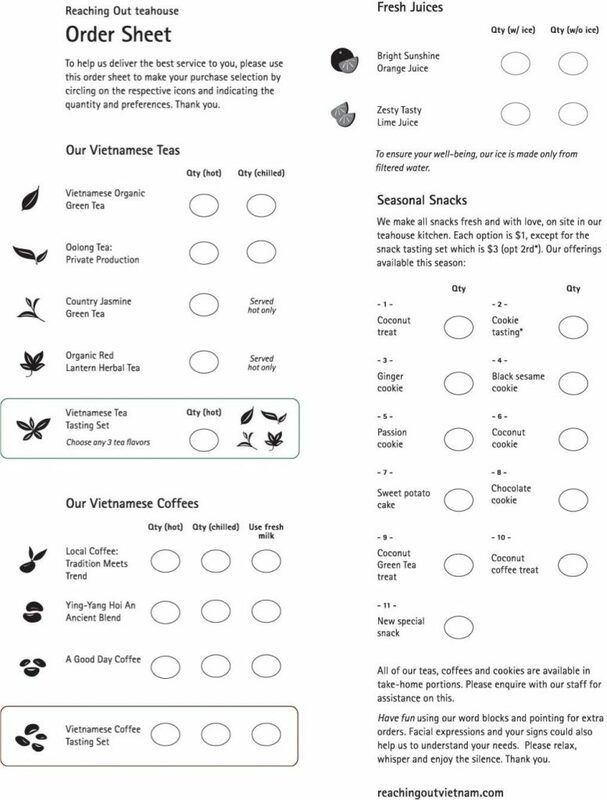 They will also proudly show you to our Tea House, where you can experience a cup of coffee or tea, served in the traditional Vietnamese manner by our speech and hearing-impaired staff. Ways to Get involved and Contribute? 1. Buy our crafts, teas and coffees – Support our artisans directly by purchasing their products. What could be easier than shopping for a good cause? Purchases can be made in our Reaching Out Arts and Crafts Shop, Reaching Out Teahouse and Reaching Out Webshop. 2. Visit our shop, workshop and teahouse – See the full array of our crafts first-hand, and find out for yourself how they are made. Meet our artisans in the workshop, and learn more about what Reaching Out means to them. Here you can find our address and directions to our craft shop, and silent teahouse. What does “gifts that give twice” mean? A gift from Reaching Out gives twice. You as the customer receive beautiful gifts for friends, family or yourself. The Reaching Out team receives a gift as well, because each sale helps us create more jobs for people with different abilities and supports our artisans. Who founded Reaching Out and why? Reaching Out was founded in the year 2000 by a group of other-abled people led by Le Nguyen Binh. Le Nguyen Binh has paraplegia and uses a wheelchair for mobility. His aim has been to empower other differently abled people to become responsible for their lives and become integrated into their communities through open employment. At that time, there were no job or training facilities for people with disabilities in Hoi An, but Le Nguyen Binh believed in the abilites of disabled people and founded Reaching Out for the local disabled people. To learn more, please read about our story and about Le Nguyen Binh. No, we do not receive any funding from the government or any charitable organisations. We rely solely on what we sell to be able to employ disabled people. However, the local government has enabled us to rent the building where our store and workshop are located for a reasonable price. Is Reaching Out a charity? No, it isn’t. In fact, it is a social business, putting people and sustainable commerce ahead of profits. It aims to change lives, not optimize profit. However, because it is a business Reaching Out’s operations must be assessed not only on its goodwill, but also on its effectiveness. We at Reaching Out combine the commitment of the public sector with the dynamism of the private sector. Why is Reaching Out a Fair Trade gift shop? We have adopted the internationally accepted principles of Fair Trade as one of our Core Values. These principles and guidelines are widely understood around the world by discerning consumers who, to a large measure, make their buying decisions based on the knowledge that the product that they are purchasing has been produced in a safe and democratic workplace; that the producers are paid a fair wage and most importantly at Reaching Out, that disadvantaged people have the opportunity to break the cycle of poverty and become independent and lead full and rewarding lives. We adhere to the principles in all our working relationships, especially those with our network of producers in their homes or workshops across Vietnam. We advocate the essential principles of “fair trade”. How do we know you are not just using the “fair trade” tag as a marketing ploy? This is a good question. Although we are still in the process of applying to the WFTO (World Fair Trade Organization) and endeavoring to meet their high standards of membership, we have used their Code of Conduct as our guiding principles for a number of years. Our values, policies and practices meet and sometimes exceed the expectations of this trusted and internationally recognized organization. Our paramount concern is fairness in all our relationships, with our employees, customers and suppliers. Why does Reaching Out Arts & Crafts operate a Fixed Price Policy? Every item has been priced in accordance with the cost of material and the time and effort taken to make each piece. Some take up to 3 months to complete. The price of many of our products is often set by the producer to ensure that they receive fair return for their craftsmanship. Our fixed price policy also ensures that all customers are paying the same fair price. We do not bargain in our retail shop. Our careful pricing guidelines reflect our belief that our products are of a very high quality and our employees deserve a consistent remuneration. Are all your products hand-made? Yes, all of our products are individually handmade. How can I wash/clean/polish my purchase? 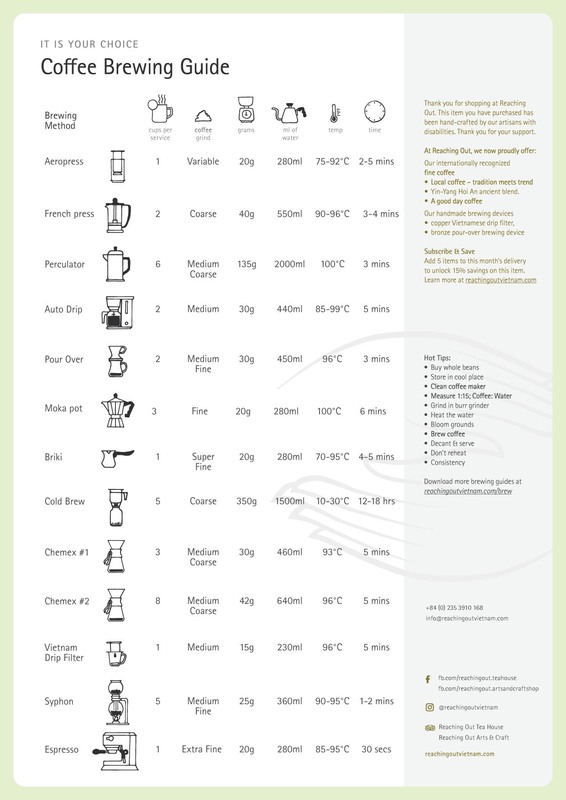 Please go to our care instructions to find the right instruction for your purchase. Are all the products made by differently abled people? Yes, all of our products are made by differently abled people. We do have some abled supervisors, trainers and sales staff. How do you seek out differently abled handicraft producers around Vietnam? The Director and founder of Reaching Out, Mr. Binh Le, is a leading advocate for people with disabilities in Vietnam. He often attends national workshops of differently abled people where he meets many leaders of self-help groups who introduce him to producers who are potential suppliers. Reaching Out now has a grassroots network of disAbled handicraft producers across Vietnam in addition to those who work in our own workshop in Hoi An. Does your producer network include other businesses? We support only businesses which employ Persons with Disabilities (PWD’s) mainly. Our employees receive training, ongoing support, a meal allowance, social insurance and health insurance and are paid a fair market wage. Any profit we make is put back into our social business in order to further develop Reaching Out. We also support community programs for people with different abilities. How much are your artisans paid? Every employee is paid a monthly salary based on his/her productivity and the quality of the products they have made. On average, they receive about 35% more for their products than other producers of similar handicrafts in Vietnam . The salaries of all our craftspeople are well above the legal minimum and many differently abled employees earn higher salaries than their able bodied counterparts in Hoi An. What disabilities do the artisans have? Our artisans have different kinds of disAbilities. The majority of our artisans are physically disabled; Hearing/Speech impairment and Mobility impairment. As well, Reaching Out employs artisans with learning disAbilities or Down Syndrome. How many days per week do your artisans work and how many hours one day? Our artisans work 6 days a week and 8 hours a day. They have a free lunch and a 1:30 hour lunch break for relaxing. 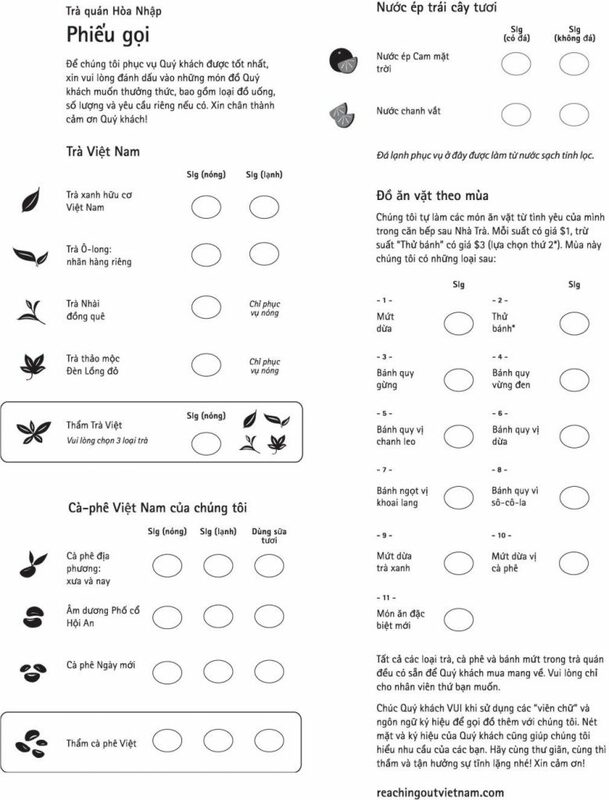 All of our craftspeople have 12 days holiday per year additional to all official Vietnamese holidays, like Tet, 10 days. How many artisans are working for Reaching Out? Are they from Hoi An? In our workshop in Hoi An, we have about 70 employees working for Reaching Out. They are all from Hoi An. Additionally, we do have 2 workgroups with 12 artisans all together and 5 home-based artisans, who are spread all over Vietnam. 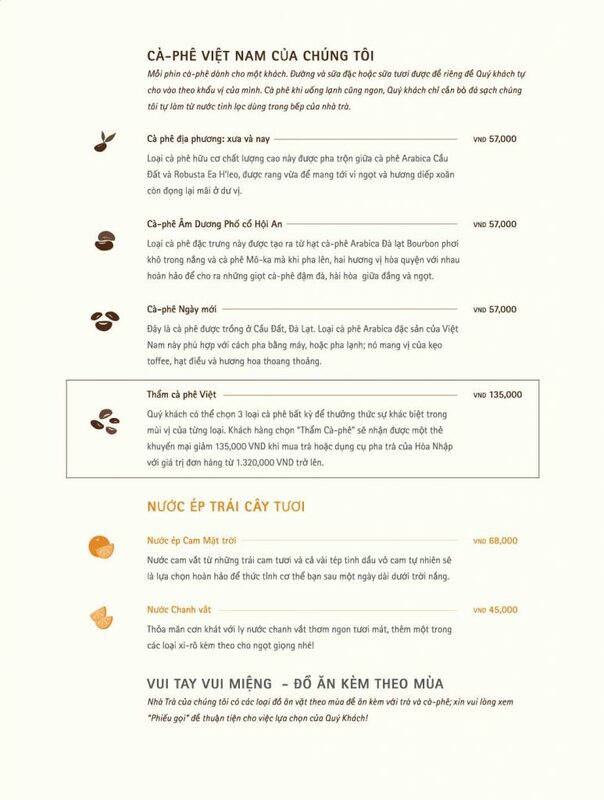 Are there many shops like Reaching Out in Vietnam? No, there aren’t. Reaching Out is the only shop set up by and for the benefit of differently abled people, offering a centralized marketing service for other-abled handicraft producers in Vietnam. Please find the answer to this question here. We do export some of our products to other countries. If you are interested in importing our products in your country or if you are looking for a store in your country selling our products, please look at our retailer partners or contact us. I lost the ring with a lotus design which I bought in your store. Is there any way that I can replace it? So sorry to hear that! Please do not hesitate to contact us and we will see what we can do, to aid you in your situation. Reaching Out has a wide range of hand crafted corporate gifts or promotional items. Hotels, Travel Agencies and many other companies have used our services to create unique employee recognition, client appreciation or special event gifts. Please contact us to discuss your needs and ideas and so that we can give you a quote. What is the problem or need that Reaching Out is addressing? Reaching Out is addressing and meeting the needs of disabled persons in gaining access to meaningful employment and equal integration into society. How does Reaching Out solve this problem? We provide disadvantaged people with disabilities (PwDs) in Vietnam high quality training and development, meaningful employment allowing independent lives thought making and selling high quality gifts and crafts. RO also inspires more PwDs to believe, “Yes, You Can!”. RO provide enhanced value for our community links, and a spirit of shared responsibility with our community. What are the primary objectives of Reaching Out? integrating more Vietnamese with disabilities into society through open employment and attaining long-term financial independence. providing high quality Vietnamese arts and crafts made by disadvantaged producers with disabilities at a fair price. What are your future growth plans for Reaching Out? RO plans collaborate with our community links to enhance strategic networking and technical assistant in providing proper training courses, best practice and product designs for our producers and team. What other development opportunities and benefits do the artisans receive? What is the percentage of women vs men working at Reaching Out? Do you think the lives of artisans have changed or improved significantly after joining Reaching Out? How so? Our employees are able to live independently within the community, supporting themselves and contributing to the family income. They participate in community events and sporting events. Confidence and self- esteem come with this new independence. How can the rest of us help Reaching Out, or help contribute to the lives of the artisans? By shopping at Reaching Out and buying our unique crafts the continued livelihood of our artisans is assured. By commenting on social media (Facebook, Google+) and sites such as Trip Advisor, you will help strengthen our brand and increase awareness. Training sponsorships allow us to take on more employees. How do you want to grow in the next 5 years? And how can your guests/tourists help you achieve this goal? Our goal is to hire as many people with disabilities as we can. By patronizing both the tea house and the craft shop, and reviewing their experiences on Trip Advisor, we will have a growing business. Are all your products made in your workshop in Hoi An? About 75% of our products are made in our workshop in Hoi An. The rest is made by our work-groups and home-based workers who are spread all over Vietnam. How old is this house? Is it yours or do you rent it? This house is about 150 years old and was renovated in 2004. It is owned by the government and we just rent it. Can you help me to ship my purchases (together with products I bought elsewhere)? Yes, we can ship your purchase anywhere you like. If you have more things (purchases from other shops, clothes you do not need anymore…), just bring them and we can put them together with our products. Please ask any sales person for further details. In our shop you can pay with cash or with credit cards. We accept all main currencies like Vietnamese Dong, US Dollar, Euro, Australian Dollar, British Pound, Japanese Yen etc and all main credit cards, i.e. Visa, MasterCard and American Express. Do you have more colours and sizes? Yes, most of our products, we have in different colours and sizes. If you do not find the right thing in the shop, just ask any sales person for more examples. We have a lot of products in stock. Another possibility is to order exactly the colours you want, just choose the fabric in the workshop, customize your order and you will receive a really unique gift. If you would like to be kept up-to-date on news and developments at Reaching Out Vietnam, we will gladly add you to our Friends list and email you from time to time. Please leave your email address on online our subscribe box. If you have other particular areas of interest where you would like to get involved we welcome your ideas and we are very grateful to receive your help and support. What is Reaching Out Teahouse? 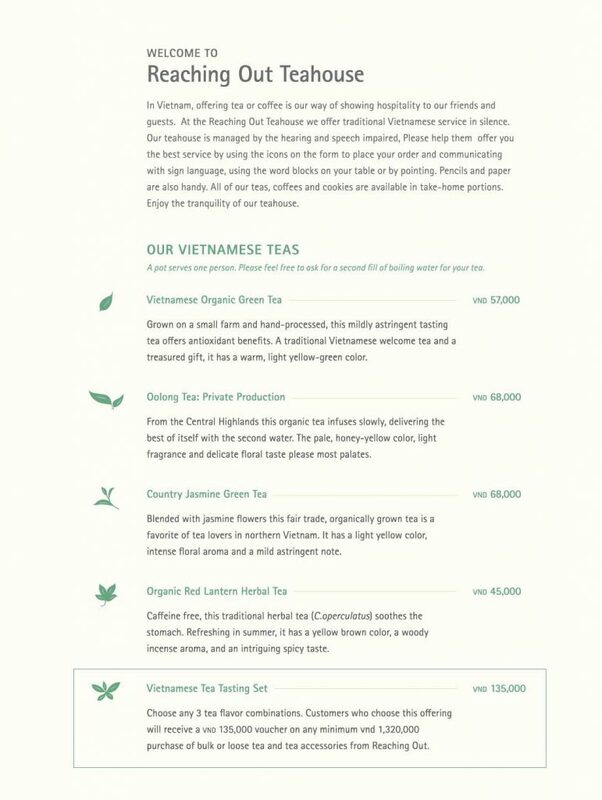 The Reaching Out Teahouse, a second location for our social enterprise, was created because we wanted to share authentic Hoi An (which means peaceful meeting) through the tradition of drinking tea and coffee with friends and visitors. Tranquillity is assured in our ancient house furnished with antiques. Our servers are all speech and hearing impaired and the joy of silence is reflected throughout the experience. 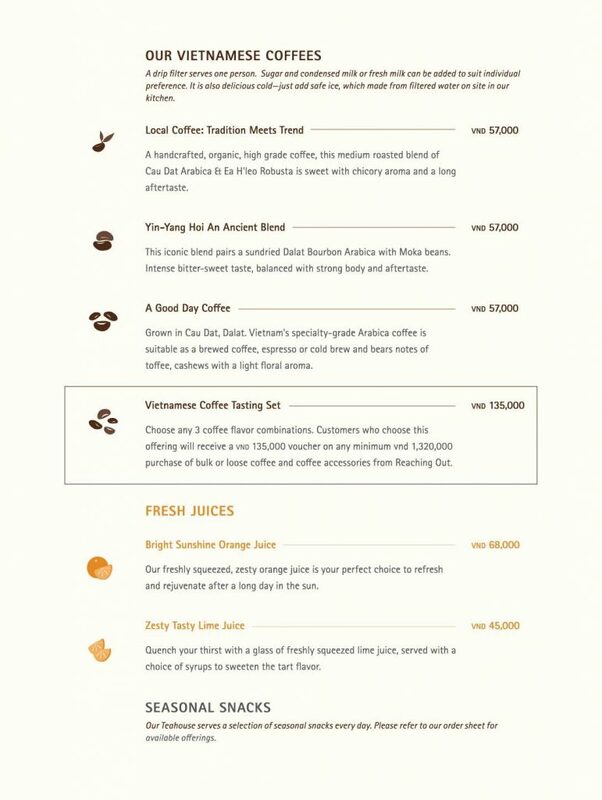 Customers enjoy the high quality of our teas and coffees as well as the gracious service. All of our tableware is hand crafted in the style of the imperial families of Hue and is available at our workshop and retail store a two-minute walk from the teahouse. In addition to ceramics, we feature embroidered tablecloths and unique accessories. Fair trade operating principles ensure that our disabled artisans and servers receive fair wages and work under safe conditions. We invite you to experience our teahouse and to let us know about your experience. We learn to make improvements to our products and services through customer feedback and good reports encourage others to find their way to our shop to enjoy the silence. Tell us more about the concept behind the Café and the fact that you encourage the guests to sit in silence? We needed another way to employ people with disabilities. There were few opportunities for people with speech and hearing impairments. The lovely ancient house was made available and I knew that it would be a perfect place to serve a traditional Vietnamese tea. The idea of silence fostered our belief that customers would be intrigued with the experience of meeting our staff in their silent world. We wanted people to see that people with disabilities have skills and talents beyond their disabilities. Customs and import taxes. Most of the countries either charge a very nominal or no duty goods for personal use. We try our best to minimize the cost of the goods to our customers. However these levies, customs duty or taxes, if any, are the sole responsibility of the customer. We are not responsible for delays due to customs. Physical goods may be delivered by VNPost and/or other international reputable courier companies. Damaged or lost orders should be resolved with the courier company directly and we are not responsible for goods that are damaged in transit or not received. Replacement of damaged or lost items is made at the discretion of Reaching Out Vietnam. We are not responsible for lost packages for which delivery confirmation is provided by the carrier. For the domestic EMS delivery, our aim is to prepare your order and despatch on the same or next working day [Monday to Friday excl. national holidays], which means that you receive your order within 2 working days from the date it was despatched. To place a domestic order, please add the items you are interested in to your shopping cart and utilize our standard checkout to choose shipping location and delivery method (by clicking Change button). Shipping – handling costs and timeline will be calculated for your review. Combining your order and checking out all at once will help you save on shipping. We aim to have In-Store Pickup Orders [Click and Collect] ready within one hour during opening hours Monday to Friday excl. national holidays. This pick-up service is available only in Hoi An city, Vietnam. 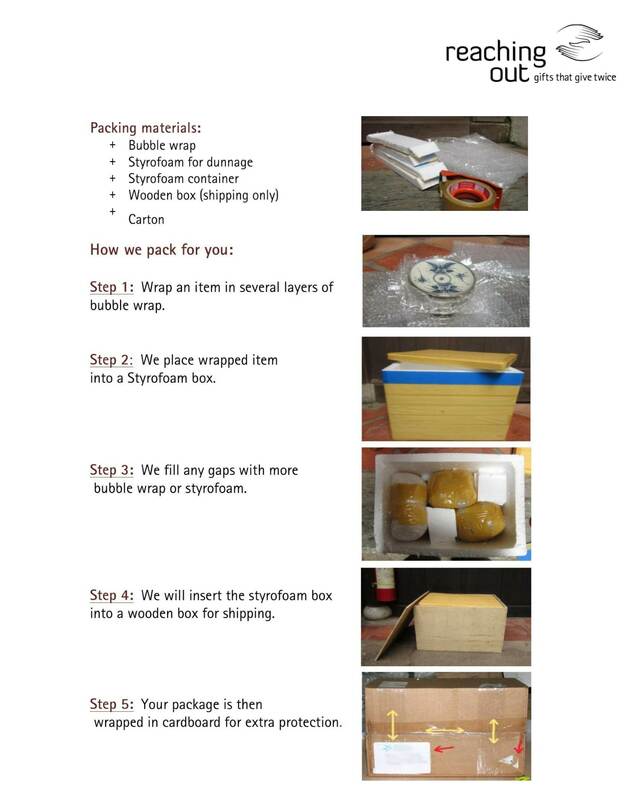 This service includes secure packaging of your items and completion of all necessary documentation. Just fill in the form and we will take care of the rest. Finally your gifts will be ready for you to take with or post it. Should you have any questions you can always ask our sales person. 3. Request that the carrier process the claim. If you were shipped items that you did not order in place of your ordered items, please contact us immediately. If possible, send an electronic photo of the erroneously sent item. 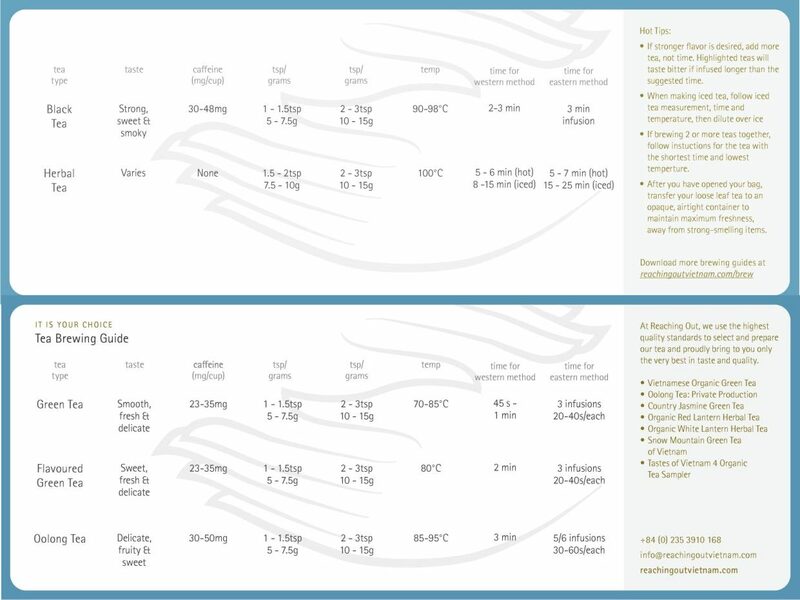 You will need your order number for reference, which is included in the order summary and order shipment emails we send. If you created an account, you can find the order number on the My Orders page. We will then ask you to send the item back to us. We will refund the cost of shipping for this and we will reship the correct items if they are available. If the items are unavailable, we will issue you a refund for your goods. You can also get a partial refund and keep the item. The best way to keep your silver jewelry in a good condition is prevention. Sterling silver tends to tarnish, when exposed to humid conditions for a long time. Therefore avoid any contact with water. If not worn, keep the jewelry in a zip-lock bag with anti-tarnish paper. First it gets a yellow colour. This should be rather easy to be removed, either by washing it with mild dish soap (must not contain acid) and warm water or by using a special silver cloth. The purple, brown or black tarnish is harder to remove: here you can use polishing creams or liquids, but you have to be careful: gemstones or pearls manufactured into the silver might get harmed when exposed to these chemicals, and any decorative oxidation will be removed. So be careful not to let your jewellery tarnish in the first place! – Be careful: decorative oxidation might get lost, and gemstones and pearls might get harmed by aggressive cleaning liquids. How to polish silverware in a few minutes – the green way. We discovered a simple, foolproof way to clean real silver without the toxic polish, without the fumes and without the piles of used paper towels. To begin, you’ll need a plastic container large enough to fit the item you’re cleaning, some aluminum foil, boiling water, and a few tablespoons of baking soda (bicarbonate of soda). Bring water to a boil (enough to completely submerge your piece of tarnished silver) and line your container with a piece of aluminum foil, shiny side up. Fill your container with boiling water and then add baking soda, roughly 2 tablespoon per litre of boiling water. Next, add the silver, making sure it touches the aluminum foil. After a few minutes, then remove the silver using kitchen tongs and remove any lingering tarnish by drying it with a soft cloth. If your piece is badly tarnished, you may need to repeat the process a few times. 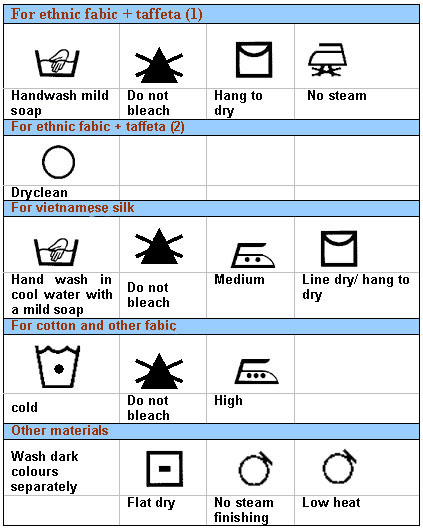 Rinse with clean water, and air-dry. White brass/copper/bronze tarnishes rather easily, therefore we recommend to polish it on a regularly basis. As with the silver, it is recommended to clean the brass/bronze/copper as soon as any staining is detected, as it gets harder by time to clean. – If tarnished, make a mixture of lemon juice and salt (vinegar works also) and then use a toothbrush or a washcloth to rub out the tarnish. Rinse and repeat until shiny and new. – After you finish your drink, simply rinse the bronze/copper cup holder with warm, soapy water and dry it immediately. Your cup holders will stay clean and last long if you put in 30 seconds to clean them after use. Our fine china is made to be used and enjoyed. Make it a part of your everyday life. Don’t “save” it for special occasions. With ordinary care, you can expect a lifetime of pleasure from your china. Here are some helpful suggestions. – Never place china in contact with a direct flame or subject it to extreme temperature changes. – Harsh heavy-duty detergents, scouring powders, and steel wool pads are abrasive and should never be used on dinnerware. When washing china by hand, place a towel or rubber mat on the bottom of your sink for protection. – All our fine china is dishwasher-safe. When washing our china in the dishwasher, use a mild liquid or powder detergent. Load china securely on racks so that the pieces do not touch, and so they won’t be dislodged by water action. Ensure that the dishwasher is in good working condition and has no exposed metal racks. Also ensure that metal objects (pots, pans, utensils) do not come in contact with the china. Use a mild wash cycle, and let pieces cool before removing. – Placing a silver spoon in the cup or other hollowware will help avoid thermal shock. 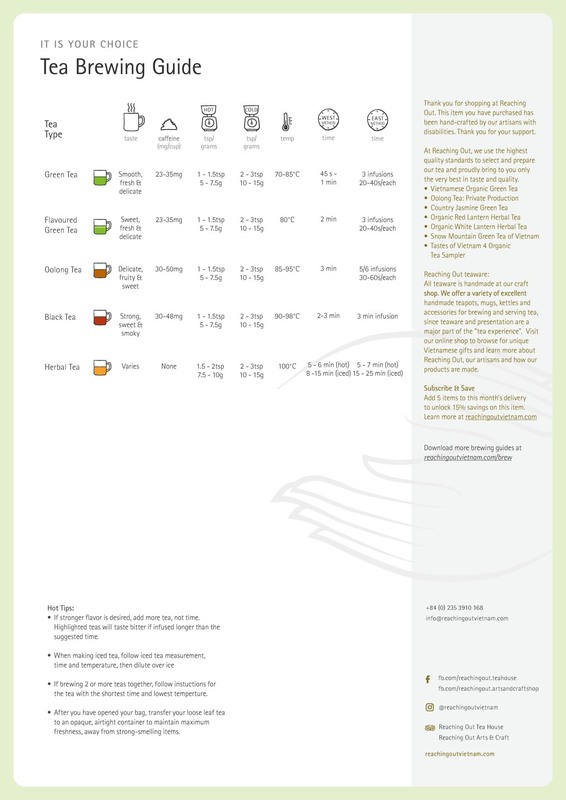 – Serving pieces should be at room temperature before putting hot foods in them. – When stacking fine china for storage, put a cushion between each piece to prevent the surface from being scratched by the piece above it. Keep in an area with sufficient storage space so that the pieces don’t touch shelves or other pieces. You can purchase separators and zippered china protectors to store china or simply use napkins, paper towels or coffee filters. 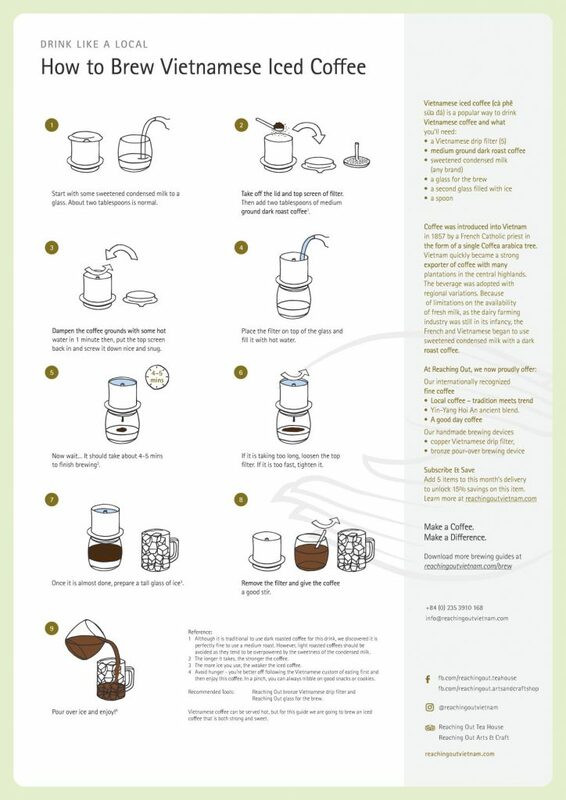 – Hang cups separately or stack them two-by-two. Once your order has been confirmed as ready for collection, it’s not possible for you to change it, as we will send your order immediately to the carrier for fast delivery. No, you cannot cancel. Once your order has been confirmed as ready for collection. We will process your order once we send it for fast delivery. If you no longer wish to have the items, you will have to return them upon delivery. If the delivery note says an item should be in your parcel but it is not, please get in touch with Customer Service or please indicate this on the Return Form that you find in your package. Let us know the order number and the item number or product name of the item you wanted, and we will look into it. We will usually be able to send you the item we missed out, but in on the rare occasion that it is not possible, we will refund the money you paid for it. The stock not available, what should I do? Our stock figures are updated regularly throughout the day. However, if we don’t have the stock available or find other errors with in processing your order we will contact you as soon as possible to offer you an alternative or a refund. What should I do to get my goods from an in-store pickup order? For in-store pickup orders (click and collect) you will need to bring a copy of the order receipt (printed or on a phone) and proof of identity (such as a Driver’s License or a photo ID) that matches the cardholder’s name to collect your order at our pickup location. We offer a guest checkout option which allows you pay securely even if you didn’t register an account. – Paypal; You can pay securely with your credit card if you don’t have a PayPal account. – Bank transfer: Sign in to your Online Banking and select the tab to send money to our bank account and then email the bank wire transfer receipt to us. You can also make a bank transfer in the branch. Whatever your online methods of payment, you can rest assured that our trusted payment gateway partners use secure encryption technology to keep your transaction details confidential at all times. Reaching Out Arts & Crafts and Reaching Out Teahouse and its associates provide their services to you subject to the following conditions. If you visit or shop within this website, you accept these conditions. Please read them carefully. By placing an order on this site a customer is making an offer to purchase goods. Our acceptance of your order will take place only when we despatch your order or it is confirmed as ready for collection. Prior to this we have the right to decline an order for any reason, including legal and regulatory reasons. We currently accept payment by credit and debit cards through 2CheckOut.com and PayPal in this webshop. Note: Reaching Out does not access and store credit card information on our site. For in-store pickup orders (click and collect), the person collecting the order will need a copy of the order receipt (printed or on a phone) and proof of identity (such as a Driver’s License or a photo ID) that matches the cardholder’s name. All content included on this site, such as text, graphics, logos, button icons, images, video clips, digital downloads, data compilations and software related to the Site are protected under applicable copyrights, trademarks, and other proprietary (including but not limited to intellectual property) rights. 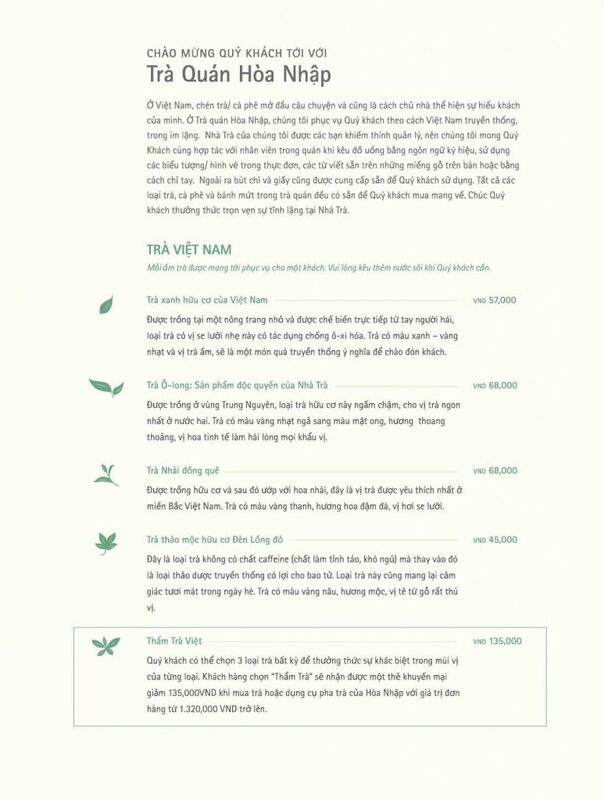 The compilation of all content on this site is the exclusive property of Reaching Out Arts & Crafts and Reaching Out Teahouse, with copyright authorship for this collection by Reaching Out Arts & Crafts and Reaching Out Teahouse, and protected by International and Vietnam Copyright Laws and Treaties. Reaching Out Arts & Crafts and Reaching Out Teahouse’s trademarks and trade dress may not be used in connection with any product or service that is not Reaching Out Arts & Crafts and Reaching Out Teahouse’s, in any manner that is likely to cause confusion among customers, or in any manner that disparages or discredits Reaching Out Arts & Crafts and Reaching Out Teahouse. All other trademarks not owned by Reaching Out Arts & Crafts and Reaching Out Teahouse or its subsidiaries that appear on this site are the property of their respective owners, who may or may not be affiliated with, connected to, or sponsored by Reaching Out Arts & Crafts and Reaching Out Teahouse or its subsidiaries. Reaching Out Arts & Crafts and Reaching Out Teahouse grants you a limited license to access and make personal use of this site and not to download (other than page caching) or modify it, or any portion of it, except with express written consent of Reaching Out Arts & Crafts and Reaching Out Teahouse. This license does not include any resale or commercial use of this site or its contents: any collection and use of any product listings, descriptions, or prices: any derivative use of this site or its contents: any downloading or copying of account information for the benefit of another merchant: or any use of data mining, robots, or similar data gathering and extraction tools. This site or any portion of this site may not be reproduced, duplicated, copied, sold, resold, visited, or otherwise exploited for any commercial purpose without express written consent of Reaching Out Arts & Crafts and Reaching Out Teahouse. You may not frame or utilize framing techniques to enclose any trademark, logo, or other proprietary information (including images, text, page layout, or form) of Reaching Out Arts & Crafts and Reaching Out Teahouse and our associates without express written consent. You may not use any meta tags or any other “hidden text” utilizing Reaching Out Arts & Crafts and Reaching Out Teahouse’s name or trademarks without the express written consent of Reaching Out Arts & Crafts and Reaching Out Teahouse. Any unauthorized use terminates the permission or license granted by Reaching Out Arts & Crafts and Reaching Out Teahouse. You are granted a limited, revocable, and nonexclusive right to create a hyperlink to the home page of Reaching Out Arts & Crafts and Reaching Out Teahouse so long as the link does not portray Reaching Out Arts & Crafts and Reaching Out Teahouse, its associates, or their products or services in a false, misleading, derogatory, or otherwise offensive matter. You may not use any Reaching Out Arts & Crafts and Reaching Out Teahouse logo or other proprietary graphic or trademark as part of the link without express written permission. We let you, our buyers, securely sign in to the store without a password by a link and access your order history, your favorites even if you didn’t register an account. All buyers without an account and their order history are added to our Customers list automatically. Our returning customer or people with existing account also can log in via the link. If you use this site, you are responsible for maintaining the confidentiality of the link to sign-in or your account and for restricting access to your computer, and you agree to accept responsibility for all activities that occur under your account. We do not protect you from unauthorized use of your account. Reaching Out Arts & Crafts and Reaching Out Teahouse and its associates reserve the right to refuse service, terminate accounts, remove or edit content, or cancel orders in their sole discretion. Visitors may post reviews, comments, and other content: and submit suggestions, ideas, comments, questions, or other information, so long as the content is not illegal, obscene, threatening, defamatory, invasive of privacy, infringing of intellectual property rights, or otherwise injurious to third parties or objectionable and does not consist of or contain software viruses, political campaigning, commercial solicitation, chain letters, mass mailings, or any form of “spam.” You may not use a false e-mail address, impersonate any person or entity, or otherwise mislead as to the origin of a card or other content. Reaching Out Arts & Crafts and Reaching Out Teahouse reserves the right (but not the obligation) to remove or edit such content, but does not regularly review posted content. If you do post content or submit material, and unless we indicate otherwise, you grant Reaching Out Arts & Crafts and Reaching Out Teahouse and its associates a nonexclusive, royalty-free, perpetual, irrevocable, and fully sublicensable right to use, reproduce, modify, adapt, publish, translate, create derivative works from, distribute, and display such content throughout the world in any media. You grant Reaching Out Arts & Crafts and Reaching Out Teahouse and its associates and sublicensees the right to use the name that you submit in connection with such content, if they choose. You represent and warrant that you own or otherwise control all of the rights to the content that you post: that the content is accurate: that use of the content you supply does not violate this policy and will not cause injury to any person or entity: and that you will indemnify Reaching Out Arts & Crafts and Reaching Out Teahouse or its associates for all claims resulting from content you supply. Reaching Out Arts & Crafts and Reaching Out Teahouse has the right but not the obligation to monitor and edit or remove any activity or content. Reaching Out Arts & Crafts and Reaching Out Teahouse takes no responsibility and assumes no liability for any content posted by you or any third party. Reaching Out Arts & Crafts and Reaching Out Teahouse and its associates attempt to be as accurate as possible. However, Reaching Out Arts & Crafts and Reaching Out Teahouse does not warrant that product descriptions or other content of this site is accurate, complete, reliable, current, or error-free. If a product offered by Reaching Out Arts & Crafts and Reaching Out Teahouse itself is not as described, your sole remedy is to return it in unused condition. Disclaimer of warranties and limitation of liability this site is provided by Reaching Out Arts & Crafts and Reaching Out Teahouse on an “as is” and “as available” basis. Reaching Out Arts & Crafts and Reaching Out Teahouse makes no representations or warranties of any kind, express or implied, as to the operation of this site or the information, content, materials, or products included on this site. You expressly agree that your use of this site is at your sole risk. To the full extent permissible by applicable law, Reaching Out Arts & Crafts and Reaching Out Teahouse disclaims all warranties, express or implied, including, but not limited to, implied warranties of merchantability and fitness for a particular purpose. We does not warrant that this site, its servers, or e-mail sent from Reaching Out Arts & Crafts and Reaching Out Teahouse are free of viruses or other harmful components. We will not be liable for any damages of any kind arising from the use of this site, including, but not limited to direct, indirect, incidental, punitive, and consequential damages. Certain state laws do not allow limitations on implied warranties or the exclusion or limitation of certain damages. If these laws apply to you, some or all of the above disclaimers, exclusions, or limitations may not apply to you, and you might have additional rights. The contract will be made under Vietnamese law and subject to the jurisdiction of the courts Viet Nam. Please review our other policies, such as our Delivery and Returns policy, posted on this site. These policies also govern your visit to Reaching Out Arts & Crafts and Reaching Out Teahouse. We reserve the right to make changes to our site, policies, and these Conditions of Use at any time. If any of these conditions shall be deemed invalid, void, or for any reason unenforceable, that condition shall be deemed severable and shall not affect the validity and enforceability of any remaining condition. This Agreement represents the entire understanding between you and us regarding your relationship to Online and supersedes any prior statements or representations. IF YOU AGREE TO BE BOUND BY THE TERMS OF THIS ONLINE AGREEMENT, please click the “I Agree” button below. If you do not agree to the terms of this Agreement, please click the “I Don’t Agree” button to log off the system.